﻿﻿Soonalyn ﻿Jac﻿o﻿b, Principal and Co-Founder of Spiraling Up Solutions LLC, is a seasoned businesswoman, active in her community, and certified professional life coach. She received her BA in Economics and Management from Colorado Women’s College (with study at the London School of Economics) and her Masters Degree in International Business/MBA from the Thunderbird School of Global Management. She earned her Professional Coaching Certification from the Institute of Professional Excellence in Coaching (IPEC), and is a Certified Strengths Advisor from Gallup Research. Soonalyn feels as if she was always meant to be a "coach", even before the profession evolved. "I have always been drawn to and collected the most interesting and inspiring friends, clients and partners," she states of her professional experience. She began her professional life as an International Market Analyst for AT&T (Western Electric). She transitioned to real estate where she and her husband co-founded Daniel Jacob Interests Inc. where she has gained over 30 years of experience in marketing different facets in her family business. In addition, Soonalyn has 25 years of active experience on nonprofit boards. She is a founding member of the San Antonio Children’s Museum and has been an active Board Member of numerous organizations including: Trustee of the World Affairs Council, San Antonio Library Foundation, Juvenile Diabetes Foundation, and a member of the San Antonio 100 and a graduate of Masters Leadership Program of San Antonio. She was awarded the “2010 Champion of the Year” award by the city of San Antonio for her volunteer efforts mentoring individuals and teams to achieve their goals. Through one-on-one coaching, group coaching, team building, and workshops, Soonalyn helps everyone from students to CEOs lead with the way that gives them the most satisfaction--to find true passion, in their ideal work and personal life. She loves the opportunity to listen to what the client is wants to achieve. Align those goals with their strengths, passions, and values and to build winning foundations for her clients. Based in San Antonio Texas, Soonalyn is also proficient in Spanish and provides coaching to clients internationally. Soonalyn’s greatest satisfaction and focus is to help her clients achieve happy, balanced lives. She is committed to the highest standards of confidentiality, professionalism, and integrity. Soonalyn’s top five StrengthsFinder strength indicators are: Positivity, Belief, Maximizer, Connectedness and Intellection. ﻿﻿Jinnyn Jaco﻿b﻿, Co-Founder of Spiraling Up Solutions LLC, is an expert in international women’s leadership, social entrepreneurship, and innovation strategy. She has a Masters Degree in Public Policy from Harvard, a Bachelor of Science in Foreign Service from Georgetown University, and Certificate in Leadership Development from Harvard’s Center for Public Leadership. 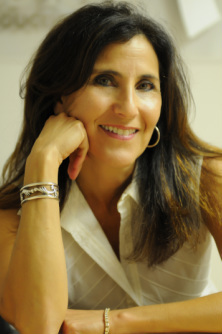 Before starting Spiraling Up Solutions, Jinnyn worked with the world’s female heads of state at the Council of Women World Leaders, co-created a social enterprise providing English-language and leadership education to under-served female populations in Mexico, and was awarded a Fulbright Fellowship to Turkey where she researched youth civil society and the role of women. In Doha, Qatar, Jinnyn was instrumental in establishing an academic department of International Affairs at the national university and in creating leadership programming that resulted in the country's first student political society and women’s political network. Her work has been featured in multiple publications and have been translated into four language. Jinnyn is also a Senior Innovation Strategist at the consulting company, Booz Allen Hamilton. In this role she works with public and private sector clients on how to empower their staff to create ecosystems where innovation can thrive. She was recently named by DCLive as one of the NEW Power Women in DC Tech and by DC Inno Magazine as a 50 on Fire. Jinnyn’s top five strengths according to Clifton StrengthsFinder are: ﻿Woo, Communication, Input, Positivity, and Activator. ﻿Jeremy Massey, Digital Strategist, is a UX designer and passionate entrepreneur. He has a BFA in New Media Art from the University of North Texas, and is a member of AIGA San Antonio. He is a graduate of the Spiraling Up Your Strengths program and has been instrumental in forming the web and media content for the company as well as a key contributor for the Quest For Success program, from concept to implementation. According to one of his clients: “his greatest talents are that he listens carefully to what they want to convey for their business and helps them define their brand through what product or service they offer, to whom and how best to be represented in the marketplace. His keen design style enables him to find the symbols, colors, materials for the print and online media that best describes them, and creates a fresh and unique identity for each of his projects. He has a zen like calm yet and has the ability to laser focus to gets project done in the time specified”. He is especially suited to working with “new concept” projects, companies, and individuals who are newly venturing into their business. He is able to take difficult and vague concepts and quickly synthesize the information and design infographics for effective training and sales programs that are visually exciting and easy to understand with key visual and verbal messages. He is passionate about working with innovators and helping entrepreneur's including Spiraling Up Solution’s clients develop their brand identity so that they have the tools and support they need to successfully run their businesses. 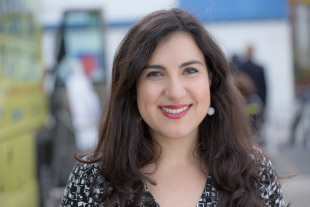 ﻿Adriana Merlo, Media Consultant, Student Program Developer, was born in San Antonio, Texas but has called Mexico City, Boston, Geneva, Austin, and Hong Kong home. She is fluent in Spanish, French, and Italian. She is a graduate of the University of Texas at Austin where she had the opportunity to intern at top advertising firms such as Bromley Communications and Edelman. She is the founding member of Pure Fashion group, an organization that promotes modest and fashionable clothing, and Her Campus Magazine in Austin, Texas the top global online community for college women. She also paid her dues copyediting for The Daily Texan and writing features for The Horn magazine. Following her heart before reentering the corporate world, she completed a two-year assignment with Teach for America in the "third worst performing" high school in the state of Texas. Her first year she was assigned to be high school social studies special educator, while her second year she was an 11th grade U.S. History educator. As a graduate of the Spiraling Up Program, she has taken the essential concepts of how to prioritize your strengths, time and energy and adapted them innovatively and successfully into the classroom. Under her unique voice and teaching methods she was able to have her students writing monthly essays, inviting holocaust survivors to speak on campus, fundraising to attend theater performances and increase their state assessment scores from a 38% passing rate the previous year to 90% passing rate. She has taken her marketing, communication and educational skills to be a chief educational specialist on the Quest for Success Program for high school students.